We had a fab talk in July from Lizzie Croose of the Vincent Wildlife Trust. Great to hear that polecats are making a comeback to Sussex! 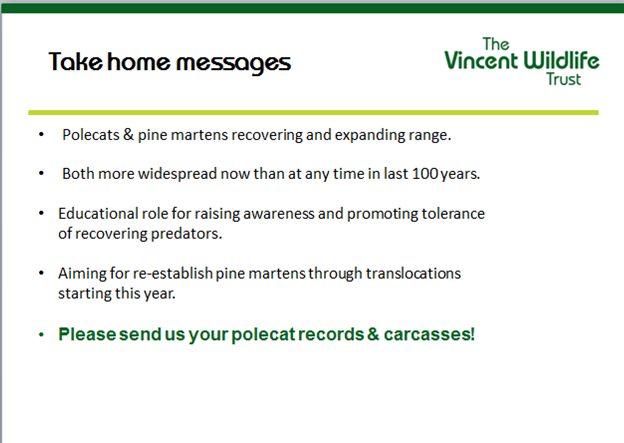 If you spot a polecat let Vincent Wildlife Trust know - records (with a photo where possible) and carcasses accepted!